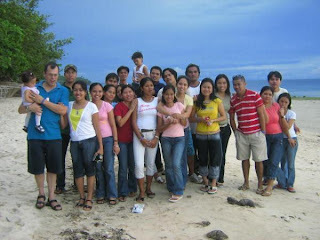 These photos were taken last year (2007) in the Philippines. We went to visit my family and friends. These are some of my high school buddies. We went to the beach to have a little gathering. It was fun to see them again and hanging out with them for awhile. I miss all of you guys. Hope to see you soon!